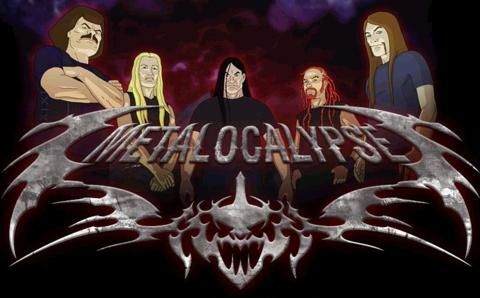 You will Watch Metalocalypse Season 1 Episode 7 online for free episodes with HQ / high quality. Stream cartoons Metalocalypse Episode 7 Performance Klok The band seeks out a therapist to help them get along with each other. The therapist, who was previously in a band until he murdered them, encourages Dethklok to open up by rewarding them with shiny banana stickers. When he tries to nudge his way into Dethklok, they fire him, but not before buying a chest full of banana stickers, saying, “We have found out that you can just, you know, buy psychological validation” He tries to murder them with a pen, but falls through a window into a pit of wolves. 4.5 / 5 - 6 ratings.